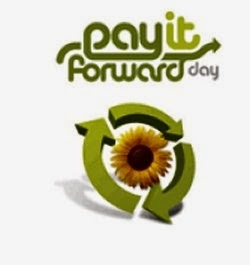 Happy International Pay It Forward Day! For those of you who are looking at the screen and trying to figure out what we’re talking about, the term ‘pay it forward’ means that when someone does a random (often anonymous) act of kindness toward you, you in turn, do an act of kindness toward someone else and then they do for another person, and so one and so forth. Here at Areyvut, we love random acts of kindness so today is even more exciting than our birthdays and Chanukah all rolled into one! International Pay It Forward Day has initiated 250,000 random acts of kindness in 30 countries since its inceptions. What are some ways you get involved in this awesome day, you ask?